Truro City have appointed Steve Tully as manager on a full-time basis. The news was confirmed after Tuesday's victory against Weymouth, where goals from Les Afful and Neil Slateford saw Truro come from behind to win 2-1. The result means that the club are now safe from relegation, sitting 17th in the Southern League Premier with two wins in their last five games. Tully told BBC Radio Cornwall: "Now we can start building for next season. I'm looking forward to the challenge." The former-Exeter defender was initially brought in as player/manager until the end of the season. Steve Massey was sacked in March, with the club then lying 19th in the league in their first season since relegation from the Conference South. 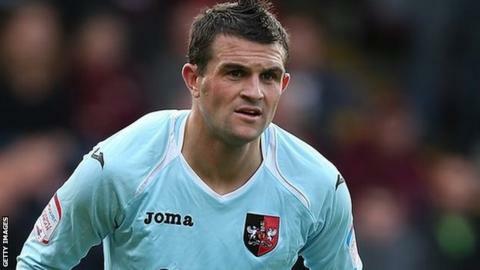 As well as making more than 250 appearances for Exeter, Tully's playing career also included spells with Torquay and Weymouth.